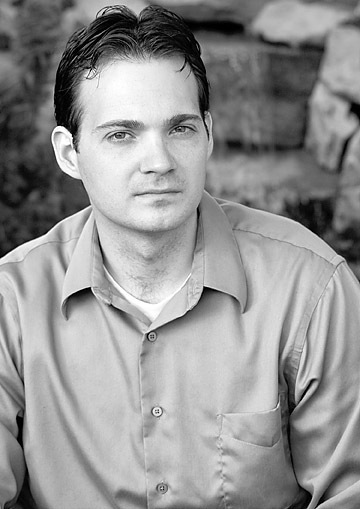 Brandon Sanderson, master of magic, is hard at work again, this time with a new Young Adult novel, Steelheart. Ten years ago, a strange event caused normal men and women to wake up with super powers, turning them into Epics. Problem is, most, if not all, have gone horribly corrupt with that power, and dominate the rest of the world. None of them are as bad as Steelheart though, the ruthless ruler of Newcago, a city of stainless steel and tyranny. David, our protagonist, watched as Steelheart killed his father right in front of his eyes, just as his reign was beginning. Since that day, David has dedicated his life to ending the life of Steelheart, taking down any Epic he can in the process. It is only when he runs into the Reckoners, a shadowy group of soldiers dedicated to the same eradication of Epics, that he realizes he has a serious shot at Steelheart and decides to take it. 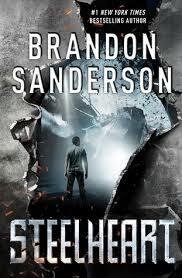 Sanderson, best known for his inventive magic, high tension action, and humanizing characterization, serves up something a little different in Steelheart. His logical magic systems are replaced with seemingly random powers and weaknesses, while his main protagonist is very one-note, at least at the beginning of the novel. These are not bad things, just different. And thankfully, Sanderson begins to pull back the layers from these initial concepts over the course of the novel. Sanderson is excellent at what he does, and slowly but surely, I started feeling for David, as we learned more about him, saw him grow up a bit, and go from a selfish, obsessed kid, into a strategic, compassionate young man. More than that, Sanderson writes a well-oiled machine of a team, as the Reckoners are all alive and multi-dimensional. Well versed in the team dynamic from his other work, the Reckoners were an easy team to support and read about. One thing I wish we had seen or learned more of was Steelheart himself, a mighty presence in the novel, but rarely seen. Hopefully we can learn more of him and the other Epics moving forward. The “magic,” and the action are in fine form in Steelheart, as we meet Epic upon Epic, each stronger than the last, each with a random weakness. Some make sense, such as Nightwielder’s while others are a little more up in the air. I’m certain Sanderson is going to explain more as the series goes on, so I’m not going to complain about a few things not making sense. As a friend once said, “You’re upset that Bruce Wayne made it back to Gotham over night, but you don’t once question that he’s dressed as a giant bat fighting a guy in a parka with a gas mask?” As with most superhero stories, a logic line has to be drawn somewhere I suppose. Steelheart is a success for those readers who enjoy Sanderson’s brand of writing, while looking for something fresh and new. The writing is solid, the plot is tight and if both are a tad simplified for the YA format, it does nothing to take away from the overall story. Sanderson is a master at what he does, and a prime example of the type of dedication and gusto it takes to survive in the publishing industry. (Seriously, every time I sneeze, he’s finished a new novel [it’s a real condition, I swear]). So if you love his work, or have been waiting to try him out, Steelheart is the novel for you. Sanderson delivered on every front, and has laid enough seeds for me to eagerly look forward to the sequel, Firefight, for a hopeful Fall 2014 release.